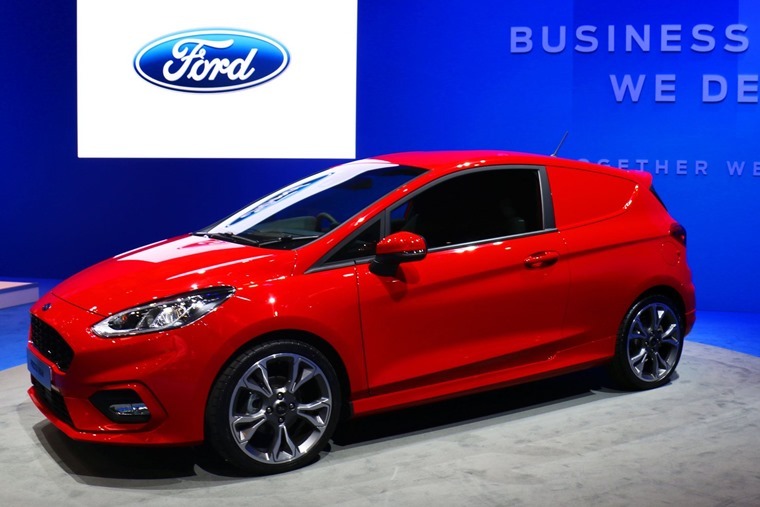 Ford has unveiled the all-new Fiesta Sport Van at the 2018 CV Show, aiming to strengthen the company’s position in the commercial vehicle market. 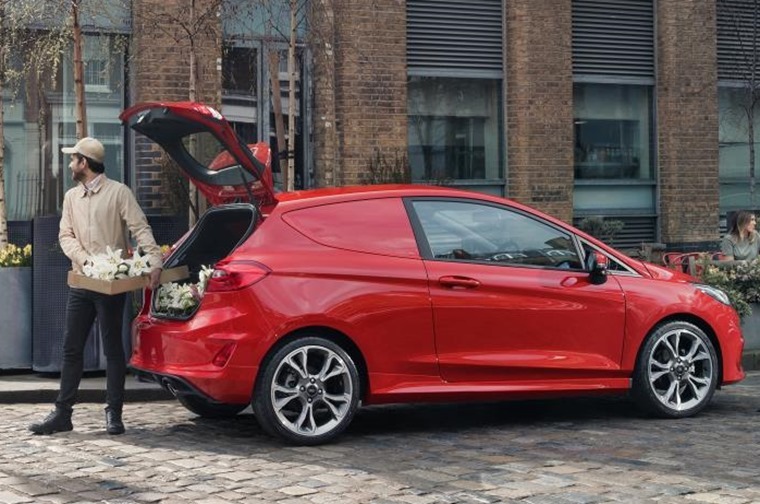 Based on the latest Fiesta passenger car, the Fiesta Sport Van marks the company’s return to the urban hatchback van market and provides a stylish, compact and economical vehicle with sophisticated new driver assistance and safety technologies for businesses of all sizes. 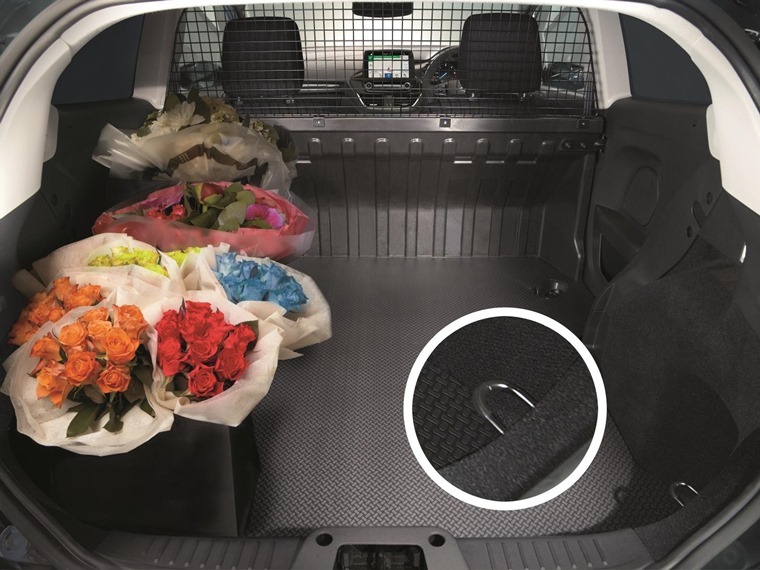 Powered by either a 1.0-litre EcoBoost with 125PS or a 1.5-litre TDCi diesel engine with 120PS, the three-door Sport Van offers a practical load compartment capable of carrying 1.0 cubic metre of cargo with a load length of almost 1.3 metres, and gross payload of around 500kg. The load space features a composite and mesh full bulkhead, durable sidewall trim, and a tough rubber floor covering with four tie-down hooks. 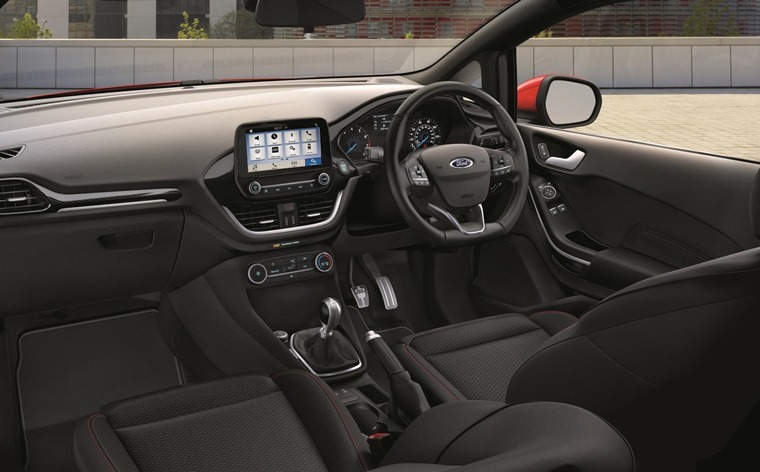 Trimmed with attractive, hard-wearing materials, and providing the latest interior technologies including a floating 8-inch colour touchscreen featuring Ford’s SYNC 3 communications and entertainment system, the all-new Fiesta Sport Van’s cabin provides a smart and comfortable working environment. The comprehensive suite of technologies also includes Cross Traffic Alert to support easy and safe parking, plus Traffic Sign Recognition and Adjustable Speed Limiter. Available with unique front and rear design treatment, colour-coded rocker panels and up to 18in alloy wheels, Adjustable Speed Limiter and Lane Keeping System are standard, while heated seats and steering wheel are optional. Ford has been the top-selling commercial vehicle brand in Europe for the past three years, and has consolidated its leadership position so far in 2018, with 93,200 sold year to date through the end of March, marking the highest first quarter for Ford commercial vehicle sales since 1993.